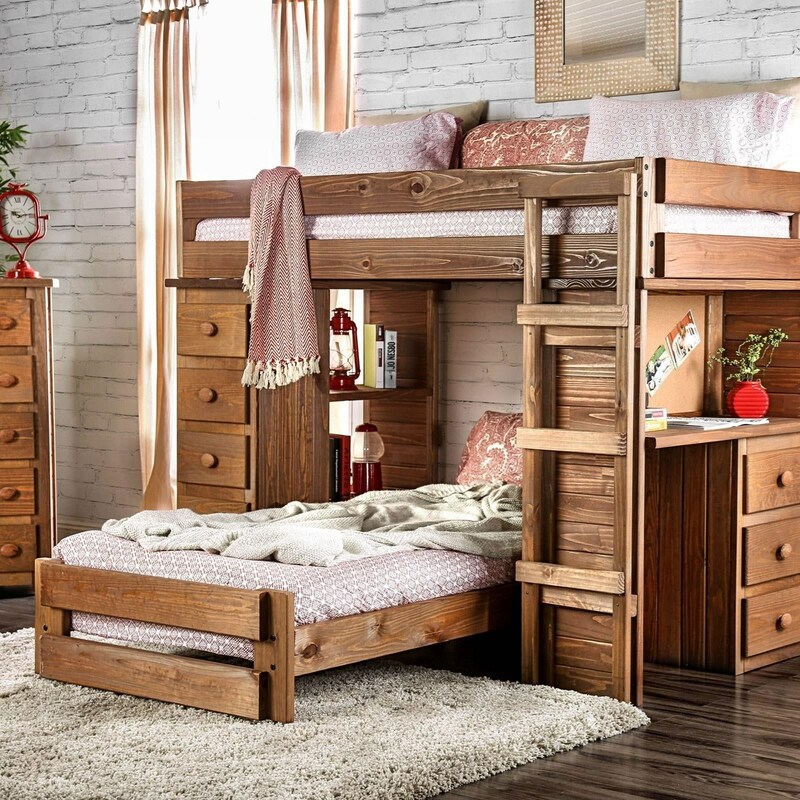 The Beckford Rough Cut Solid Pine Twin/Twin Loft Bed by Furniture of America at Rooms for Less in the Columbus, Reynoldsburg, Upper Arlington, Westerville Ohio area. Product availability may vary. Contact us for the most current availability on this product. AM-BK600-1 Component 1 1 0" 0" 0"
AM-BK600-4 Component 4 1 0" 0" 0"
AM-BK600-6 Component 6 1 0" 0" 0"
AM-BK600-5 Component 5 1 0" 0" 0"
AM-BK600-2 Component 2 1 0" 0" 0"
AM-BK600-3 Component 3 1 0" 0" 0"
Case Construction American solid pine wood and other materials.